Luke John Robinson OS 02, married Eleanor Ruth Turner on 22nd December 2018 in the College Chapel at Stonyhurst. The marriage was conducted by Father Matthew Power SJ OS 79. John Francis Watts OS 09 was the Best Man. Victoria Robinson OS 06 and Elizabeth Robinson OS 12 were bridesmaids. Also in attendance were Padraig Alton, Oliver Andrew, Duncan Ballantyne, Danny Church-Taylor, Charlie Gale, Todd Robinson and James Stephenson, all OS 09. Mondo Chibesakunda OS 10 married Mwamba Jane-Frances Mulenga on the 3rd of November 2018. The church service took place at St. Ignatius Catholic Church in Lusaka and was followed by a reception at The Chibesakunda Estate in Lusaka, Zambia. 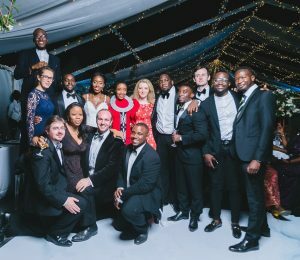 There were a number of OS in attendance, many of whom made the trip down to Zambia from as far as England, Nigeria, Kenya and South Africa. Mwelwa Chibesakunda (OS 2012) was the Best Man and Samuel Hall (OS 2010) gave the second Reading at the Church Service. 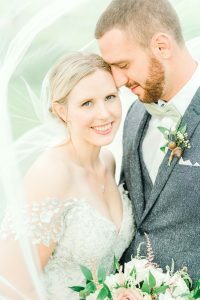 Elizabeth Chester OS 04 married Adam Gotfraind on 1st September 2018 in Muskoka Canada. Serena Marchetta OS 06 was a bridesmaid. 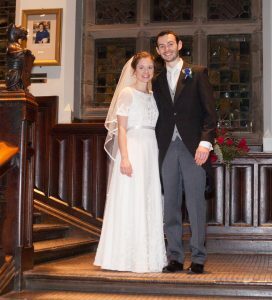 Yvette Spedding OS 07 married Daniel Hobbs on Friday 6th April at St Peter’s Stonyhurst. OS in attendance included Karl Spedding OS 05, Isabella Gee OS 07, Annabel Gale OS 07, Lizzie Coles OS 07, Farrah Galapon OS 07, Freddie Gee OS 06, Albion Gee OS 09, Caroline Church-Taylor OS 07, Hannah Keppel OS 07, Melissa Dickinson OS 07, Katie Goodman OS 07, Emily Burke OS 07, Charlie Gale OS 09, Jamie Gale OS 11 and Adrian Bidwell OS 74. 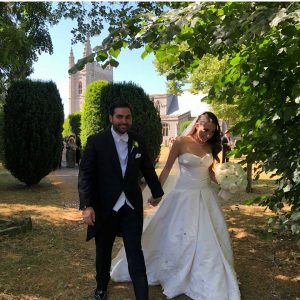 James McLean OS 04 married Daryl Rae D’Anna on 30th June 2018. OS in attendance were Hampus Bernitz, Richard Hargreaves, Nick Cassin, Hamish Reid, Edmund Page, Lucy Williams, Sean Knight, Sam Burke, Alistair Coates, all OS 04, Brendan Knight OS 06 and Patrick Reilly OS 03. 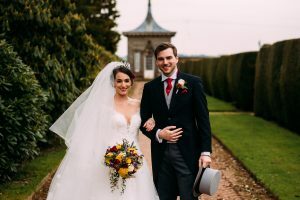 Dr Thomas Leonard OS 06 married Clare Brotherson on 8th April 2017. Phillip Leonard OS 08, Fergal Marlborogh OS 06, Benjamin Allan OS 06 and current student Patrick Lee also attended. Stefano Ghirardi OS 07 and Giulia Pieroni married in The Vatican on 16th August 2017. 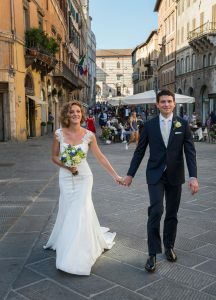 The civil ceremony was in Perugia on 26th August. The best man was Collin Fortes OS 07. Other guests included Claudio Ghirardi OS 96, Alexander Pinder, Patrick Page, Min Sung Kim all OS 07 and Claudio’s children: Charlotte, Tommaso and Nicolo Ghirardi, current pupils of St Mary’s Hall Stonyhurst. 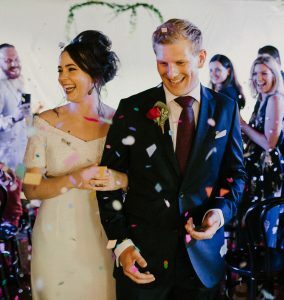 Stephen McDermott OS 02 and Elizabeth Flynn were married in St. Peter’s, Church, Stonyhurst, on August 26th 2017. The OS in attendance included: Nicky McDermott OS 15, Harry McDermott OS 07, Charlie McDermott OS 11, Robbie McDermott OS 16, Jordan Riley OS 11, Greg Wood OS 75, John Smalley OS 98, Iain Lindsay OS 05, Tim Fitzgerald OS 05, Luke Copping OS 07, Dom Copping OS 03, David Ryan OS 02, David Lindsey OS 00, Danny Dwyer OS 06, James Clark OS 05, Stefan Cordesmeyer OS 02, Terry Molloy OS 02. 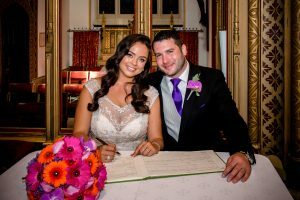 Rory Mellows OS 08 and Sarah Watson were married in Lancaster Priory on 5th August 2017. The best men were Michael Mellows OS 05 and Ronan Mellows OS 10. Fr Nick King SJ OS 66 gave the homily. Other OS present were Richard Hargreaves OS 04, Cecily and Henrietta Holt OS 07, John Richardson, Tom O’Donnell, James Cathcart, Jonty Tomalin-Reeves, and Chris Fitzgerald all OS 08 and Hugh Holt OS 09. 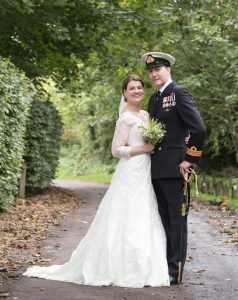 Surgeon Lieutenant Commander Nick Newton OS 95, and Gemma Freemantle were married on the 30th of September 2017 with the service by Father Nick King SJ OS 66, at St Osmunds in Salisbury and the reception at Gemma’s parents in Tarrant Monkton. There were a number of OS, Old Beaumont and Old St John’s in attendance including Tony Jarratt OS 92, Luke Pryor OS 96, Willow Pryor, John Flood OS 89, Michael Newton, Phillip Ribet, Michael Fenton OS 04, Julian Ribet OS 92, Oliver Newton OS 98, Matt Coutts, Ged Brumby OS 95, Richard Saunders OS 98, John Devaux, Dominic Ribet OS 98, Ben Pryor OS 95. 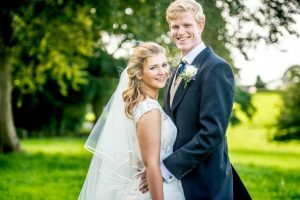 Joe Notter OS 05 and Tara Chitnis OS 08 married in Thurlestone, Devon on Saturday 22nd July 2017. The Celebrant was Fr Simon Bishop SJ, OS 86, and the father of the bride was Jay Chitnis OS 80, and Maid of Honour was India Chitnis OS 06. 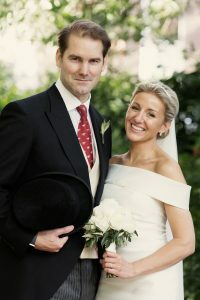 The Best Man was James Clark OS 05, and the Bridesmaid was Gabriella Notter OS 11. The ushers were Iain Lindsay OS 05, Benedict Gogarty OS 05, Ross Munro OS 05, Tom Wood OS 05, Jonty Ashworth OS 05, Jay Chitnis OS 15. Other OS in attendance were: Dr Jay Chitnis OS 50 , Dr Anand Chitnis OS 60, Paul Chitnis OS 79, Dr Anand Chitnis OS 81, Anthony Chitnis OS 83, Mike Murphy OS 80, Asmita Chitnis OS 12, Daisy Chitnis OS 14, Arthur Chitnis OS 16, Rochelle Knowles OS 08 , Emily Ashworth OS 11, Serena Barnett OS 11, Henry Taylor OS 11, Luke Langford OS 05, Carl Cimpoias OS 03, Dane Cimpoias OS 07 , Scarlett Thompson OS 07, Dave Lindsay OS 00, Dom Copping OS 03, Nicky McDermott OS 05, Harry McDermott OS 07, Tim Fitzgerald OS 05, Ryan Stokes OS 05, Henry Hall OS 05, William Dear OS 07, Amelia Tilney OS 06, Jack McGovern OS 07, Danny Dwyer OS 06, Danny Bovingdon OS 05 Charlotte Bovingdon OS 05. Charles Metcalf 02 married Thyone Alexia Pana at St James, Spanish Place, Marylebone on 5th Aug 2017. The Celebrant was Canon Terence Phipps, a family friend. The reception was held at the Lansdowne Club, Mayfair. OS in attendance included Finnian O’Mahoney, Julien Hohendorff, Dr Richard Pinder, Mwai Kumwenda, Naguib Yusufu, Lorenz Kemper and David Ryan all OS 02. The groom is a surveyor for the Howard de Walden Estate and the bride is a specialist Physiotherapist. Richard Hargreaves OS 04 and Katarina Hrabovská were married in the Evangelical Church in Liptovský Mikuláš, Slovakia on the 7th October 2017. Sam Burke OP OS 04, recently ordained, gave the couple an inspiring homily and a blessing. The reception was held at the Grand Castle in Liptovský Hrádok. 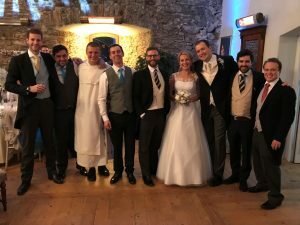 Among the many friends and family present the duty of best man was carried out by Christopher McRobbie and OS in attendance were: Ronan Mellows OS 09, James McClean, Sam Burke, Alistair Coates, Michael Fenton, Hamish Reid, and Ed Page who are all OS 04. 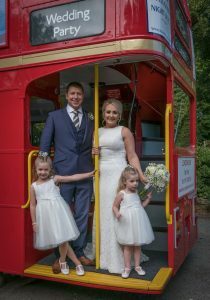 Gregory Haynes OS 03 married Haley Lightburn on the 1st September 2017 at Sacred Heart Church North Gosforth, Newcastle Upon Tyne. In attendance: Jack Haynes (Best Man) OS 06 , Sean Kennedy OS 03, Marco Vaghetti OS 03, Dom Copping OS 03, Paddy Reilly OS 03, Kirk Stokes OS 03, Richard Maudsley OS 03.